Dad's already got the grill. Now you come in with the gear. No: he absolutely does not need a personalized steak brander—but investing in a few quality tools is the surest way to turn your dad's backyard barbecue dreams into delicious reality. These expert-approved tools will definitely be up to Dad's standards. Keep these in mind the next time you host a barbecue or cookout. While there may still be some argument about, most people in the know agree that food grilled over charcoal tastes better than food grilled over gas. Yes, gas grilling is quicker and more convenient, but when it’s the weekend and you have all the time you need, charcoal is truly the way to go. For those of us who grew up gas grilling, though, grilling over charcoal can take some getting used to and a little trial and error. Here are five common rookie mistakes that we all make when grilling over charcoal and how to best avoid them. DON'T: Forget to use a chimney starter to light the coals. The single most important part of charcoal grilling is the charcoal itself and the lengthiest part of the charcoal grilling process is readying the coals. You will be tempted to use lighter fluid, but just keep in mind that any lighter fluid you use will end up flavoring your food, which none of us want. Instead, use a chimney starter to the light coals. It’s simple, just pack the bottom of the starter with newspaper and then fill the rest with charcoal. Then light the bottom and let science do the rest. Depending on how much charcoal you’re lighting, make sure to set 15-20 minutes aside to let your charcoal properly heat up before pouring it into the base of your grill. DON'T: Pour the coals into your grill before they’re ready. Repeat after me: "I will wait until my coals are fully gray before pouring them out of the chimney and into my grill base." This is very important and while we know you and your guests are probably hungry, a bit of patience here will really pay off in the end. The problem here is that if you don’t wait and you add the charcoal to the grill while some of it is still black, you’ll have way more difficulty controlling the temperature. 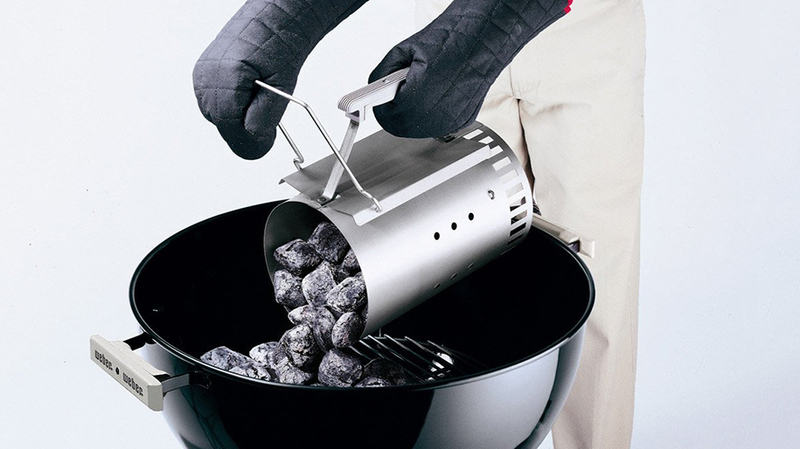 The black charcoal will continue heating and suddenly the way you’ve distributed your charcoal in the grill will no longer match the temperatures. Seriously, let your chimney do its thing and let those coals get nice and gray before you do anything crazy. DON'T: Heat both sides of your grill to the same temperature. With gas grills, you have the option to customize the temperature on each side with the simple twist of a dial. 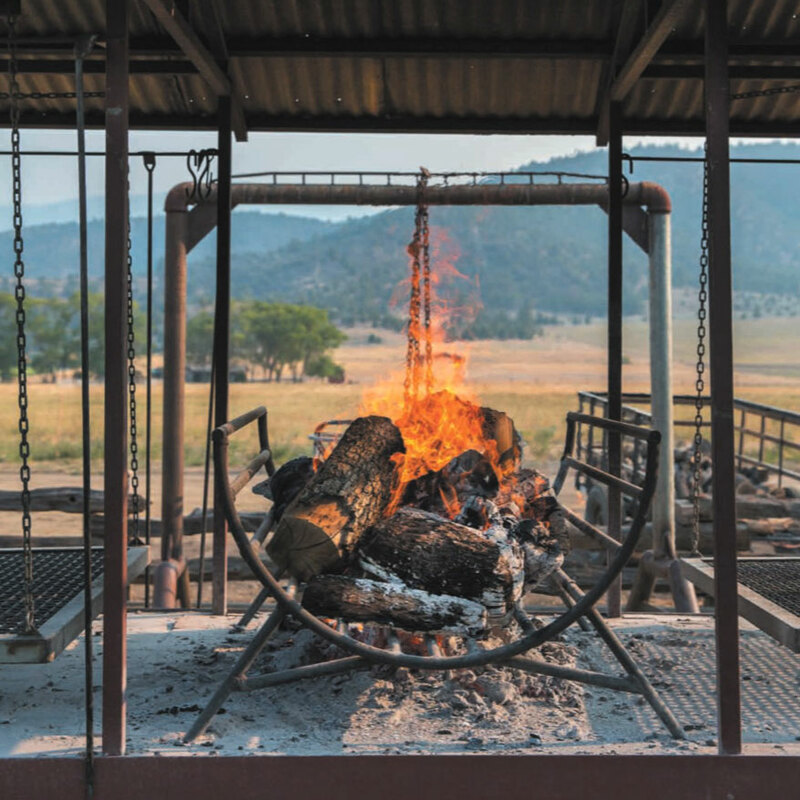 The way you do this with charcoal, though, is by distributing at least 75 percent of the coals to one side, creating two different temperature zones. This allows you to cook different foods at different speeds and gives you more options for letting your food rest over little to no heat while you get everything else set up prior to eating. DON'T: Forget to preheat the grill before you start cooking. Just like your oven, you should preheat your grill before throwing any food onto the grates (also, make sure those racks are clean before you place anything on them). Once your coals are distributed in your grill, throw the lid on and let it sit for five to 10 minutes before placing any food over the coals, you want to hear a light sizzle when the protein, fruit or vegetables hit the grates. DON'T: Forget about the vents. Gas grills give you a huge amount of control and while it might seem like charcoal grilling leaves a lot more to chance, you can actually manipulate the grill's temperature by simply using the top and bottom grill vents. Located on the lid itself and on the very bottom of the base, the vents control the airflow through the grill and the wider open they are, the hotter it’s going to get. If you find yourself short on time as your friends and family become ravenous onlookers, crank up the heat by opening up the vents. Just make sure to keep an eye on the food so it doesn’t burn. While people will complain when they’re hungry, they’ll complain even more when the food they are served is inedible.